HBS announces tuition is set to rise in the fall, citing a significant increase in brand value due to countless victories by the rugby team. The perennial North American champions took their success to new heights earlier this month, bringing home the World Cup to HBS for the first time since 1998. The MBA Rugby World Cup, held annually at Duke University, features the top 20 or so MBA programs from across the U.S. and Canada, along with a handful of European powerhouses, namely London Business School, INSEAD and University College Dublin (Smurfit). It represents the pinnacle of competition, the Top Gun of graduate school rugby, where the best of the best compete and one team is crowned as world champions. The HBS men had put together a string of successes as of late, winning the North American ‘Fall Brawl’ Tournament in 2011 and 2012, but had always fallen short in the World Cup, often losing to Smurfit in the finals. This year, marking the 50th Anniversary of the club, was different. 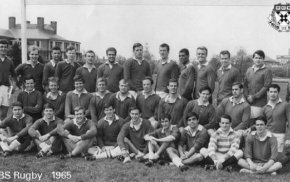 Thanks to energetic support from HBS Rugby Alumni and the team’s desire to strengthen the legacy of the oldest sports club on campus, the HBS ruggers set out to take the club to the next level. Building on the success of years past, the team returned veteran talent Arthur “King Hippo” Heilbronn, Chris “Boxers, not briefs” Sumner, Aaron “Doublemint” Turk, and Adam “I just consumed my weight in protein” Barker. Under the majestic and unwavering leadership of Coach Gonza “No hablo Ingles” Michanie, the team developed a few hard hitting RCs, including Stuart “I’m almost as good as my brother” MacWilliam and Fletcher “Southern Thunder” Gregory, and was poised for another run at the title. The HBS Rugby team had a chance to cut their teeth during a grueling fall season, highlighted by victories over Yale and Tuck at the annual Fall Classic at Harvard Stadium and a near perfect regular season in the New England Rugby Football Union. The HBS men also tasted bitter defeat, losing in the last minute against a controversially stacked Stanford GSB team at the Fall Brawl Tournament in Palo Alto. Hungry for revenge, the boys dedicated themselves to late-night team workouts at Shad, evening discussions on game strategy in Aldrich, as well as long nights out at questionable establishments across Boston, notably the late Tommy Doyle’s and Tasty Burger. The energy eventually permeated to social media as #WinDuke started trending on Twitter. By the time ‘spring’ hit, the team was roaring on all cylinders. After a few warm-up games, including a hard-fought victory over the scrappy Harvard Undergrads, the HBS Rugby men headed to Duke with one thing on their minds: to honor 50 years of HBS rugby by bringing home the World Cup. The first day saw HBS handily defeat SMU Cox, Kellogg, and a combined Wharton B/Thunderbird team. With a #2 seed entering the quarterfinals, HBS rolled over the tournament host, Duke, 40-0, and long-standing rival, Wharton, 19-0, to enter the finals. Tournament favorite, Smurfit, waited for HBS but the one-two combination of “Twin Towers”, Nonso Maduka (who is also SA President in his spare time) and Tom Franklin, and the speed of late arrival Martin “Angel Wings” Garcia Frugoni proved too much for the men from Ireland. Through exceptional defense, hard tackling, and fierce intensity led by Eric “FBIs Most Wanted” Boernke, the team came out on top, 15-5, in an emotional victory. Throughout the entire tournament, the boys in Crimson conceded only 5 points – a feat not seen since Oxford University won the South England Invitational Tournament of 1908.